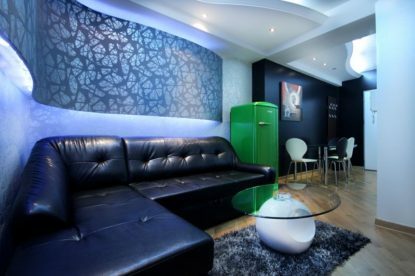 If you want to feel a touch of style during your stay in Belgrade, SKY apartment will definitely fulfill your expectations. 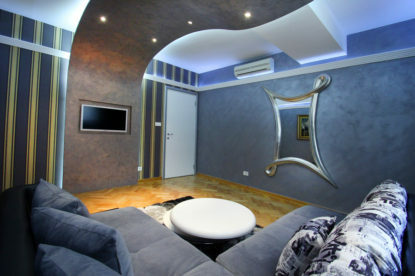 The interior of the living room and bedroom is very modern and memorable, with attractive curved lines, specially designed surfaces on walls and ceilings in several colors and other details that will inspire you. SKY apartment is comfortable apartment in the city center, incredibly designed for shorter or longer stay of no more than four persons. The kitchen is connected with dining area. 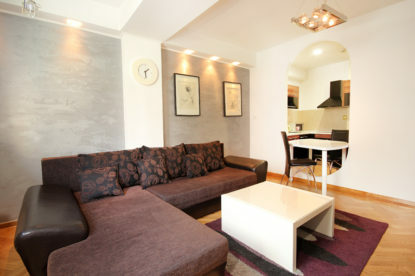 Color tones of this apartment are calm (beige/brown), so it is often used by business people. Pajsijeva is an ideal place for all our guests, because the street is very quiet due to no traffic passing through it. 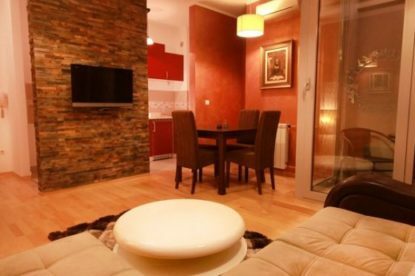 This level of silence is a great rarity in the city center, and it is just one of the benefits of this excellent location close to the Terazije, in addition to a pleasant balcony where you can spend beautiful moments in both summer and winter. SKY apartment is located in a new building, with provided parking space for guests, and in a radius of just 100m around twentyish restaurants, cafes and shops.